MDC Deputy National Chairperson Tendai Biti has appealed against his conviction by Harare magistrate where he was accused of violating the Electoral Act. "Human rights lawyer and MDC-Alliance Vice-Chairperson Tendai Biti appeals against his conviction and sentence for contravening the Electoral Act and argues that Harare Magistrate Gloria Takundwa grossly erred and misdirected herself in convicting him and imposing a $200 fine." The Zimbabwe Lawyers for Human Rights said in a statement. Biti was found guilty of publicly declaring MDC-Alliance candidate Nelson Chamisa as the winner of last year's presidential election before the Zimbabwe Electoral Commission (ZEC) had made the official announcement, conduct which the court said was illegal as it had potential to undermine the official announcement by ZEC. He was slapped with a suspended six-month prison term for illegally announcing purported results for the 2018 Presidential elections. 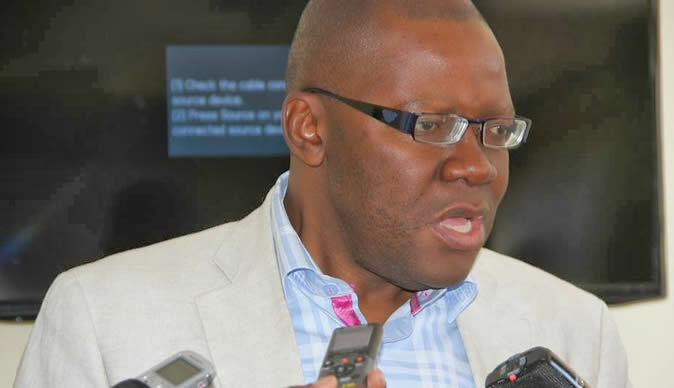 The six-month prison sentence was wholly-suspended for five years on condition that Biti does not commit a similar offence within that period. In addition, he was ordered to pay $200 fine or risk going to jail for seven days. Biti was convicted on two counts of contravening the Electoral after a full trial.